In June, BioMed X launched two new global calls for application together with Merck KGaA for RNA splicing in cancer and for engineering of high-performance production cell lines. Talented young scientists from top universities and research institutions were invited to submit innovative project proposals and apply for a research fellowship at the BioMed X Innovation Center in Heidelberg, Germany. BioMed X was founded in 2013 in collaboration with Merck, its first pharmaceutical partner. Since then, its innovation model has attracted sponsorship from four other companies: AbbVie, Boehringer Ingelheim, Johnson & Johnson, and Roche. Currently the organization hosts nine independent research groups from more than 20 different countries. At its innovation center, they work jointly on bioinformatics, consumer care, diagnostics, oncology, neuroscience, and respiratory projects. Four of those research groups began in collaboration with Merck. The World Health Organization identifies cancer as a leading cause of death worldwide, accounting for 8.8 million deaths in 2015. Emerging data indicate a critical dependency of several subtypes of cancer on a molecular mechanism called RNA splicing. In one new project, Merck seeks to identify novel approaches to exploit tumor-specific RNA-splicing alterations for targeted cancer therapy. A critical factor in cost-efficient manufacturing of modern therapeutics is the productivity of expression cell lines. So in a second project, Merck wants to identify better ways to manufacture monoclonal antibodies (MAbs) and other complex glycosylated proteins. “We are very pleased to extend our successful collaboration with Merck”, said Christian Tidona, founder and managing director of BioMed X. “These two topics will strengthen our expertise in cancer research and add new capabilities in the field of industrial cell engineering.” The deadline has passed for applications in these two projects. To be notified of future calls for application or to initiate a collaboration of your own, see the website at www.bio.mx. 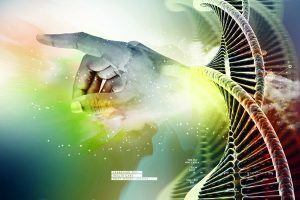 Gene design and editing companies Horizon Discovery and ATUM (formerly DNA2.0, Inc.) announced in June a crosslicense agreement for the former’s CHO SOURCE platform and the latter’s vector technology to speed development of productive, stable cell lines for drug development. Meanwhile, UK medical research charity LifeArc (formerly MRC Technology), Canada’s Centre for Drug Research and Development (CDRD), and the UK Defense Science and Technology Laboratory (DSTL), announced a collaboration to identify antibacterial drug targets. And in July, Eli Lilly and Company and Purdue University formed the latter’s largest research collaboration with a single company. Cell-Line Teamwork: Horizon’s platform includes a glutamine synthetase (GS) knockout Chinese hamster ovary (CHO) K1 cell line. ATUM will combine that with its own Leap-In transposase technology for cell-line development services. In return, Horizon exclusively licensed an ATUM vector suite for its CHO SOURCE platform, providing a complete cell-line solution to its own customers. These complementary technologies enable expression of complex biologics. The CHO SOURCE platform increases stringency of selection over that of historical platforms based around chemical inhibition, providing for rapid identification of clones that express a protein of interest at industry-relevant levels. Developed partly in partnership with Horizon, ATUM’s vector suite combines a mammalian expression technology with additional elements that improve aspects of protein production. Antibiotic resistance is threatening physicians’ ability to treat common infectious diseases. A growing list of infections (e.g., pneumonia, tuberculosis, sepsis, and gonorrhea) are becoming harder, even impossible, to treat. In a report published in Review on Antimicrobial Resistance, Dame Sally Davies (the United Kingdom’s Chief Medical Officer) says that we have reached a critical point and must act now on a global scale to slow down antimicrobial resistance. 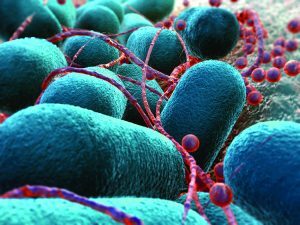 The report predicted that bacterial infection risks and resistance to currently available antibiotics will preclude some common medical procedures and operations by 2050. That illustrates the urgency of need for identifying new targets and developing novel antibacterial agents. To date, most antibacterial drug-discovery programs have focused on very specific aspects of resistance or on single pathogen species. 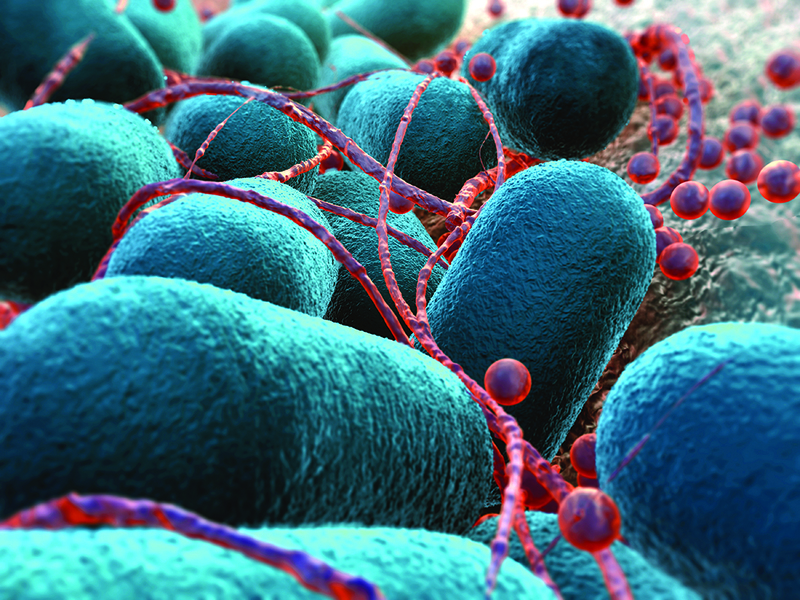 The new collaboration will take a more holistic approach by considering commonalities across pathogens in how genes (“targets”) express proteins that give bacteria their drug resistance. Once targets have been selected and scientifically validated, results will be openly published, and the most promising targets will enter into drug discovery programs. Their initial research focus areas include developing improved delivery of injectable medicines (to reduce pain, decrease the number of injections, and enable better patient compliance and overall health) and developing predictive models for clinical success (to reduce risks associated with investing in drug development and more effectively predict the outcome of new therapies in humans). The collaborators envision expanding into other areas as well. A subsidiary of France’s nuclear and renewable energy commission, Leti (Laboratoire d’électronique des technologies de l’information) was established in 1967 to pioneer micro- and nanotechnologies in tackling critical challenges in healthcare, energy, and digital migration. This past summer, Leti announced a European Union project to develop a nanotherapy targeting molecules involved in immune-system–associated inflammatory bowel diseases (IBDs), such as ulcerative colitis and Crohn’s disease. An estimated 3 million people in Europe, mostly adolescents and young adults, have been diagnosed with such chronic disorders of the gastrointestinal (GI) tract. Symptoms include diarrhea, fatigue, and abdominal pain, and severe cases can lead to bowel perforation, severe bleeding, colorectal dysplasia, and cancer. In the four-year, €6 million project, Leti researchers will design nanostructured lipid carriers for in vivo delivery of small interfering RNA (siRNA) molecules across the gut’s mucosal barrier. This “New Deal” project is exploring whether a biological therapy using RNA interference (RNAi) and siRNAs can safely treat IBD through specific inhibition of two signal-controlling janus kinases (JAK1 and JAK3). 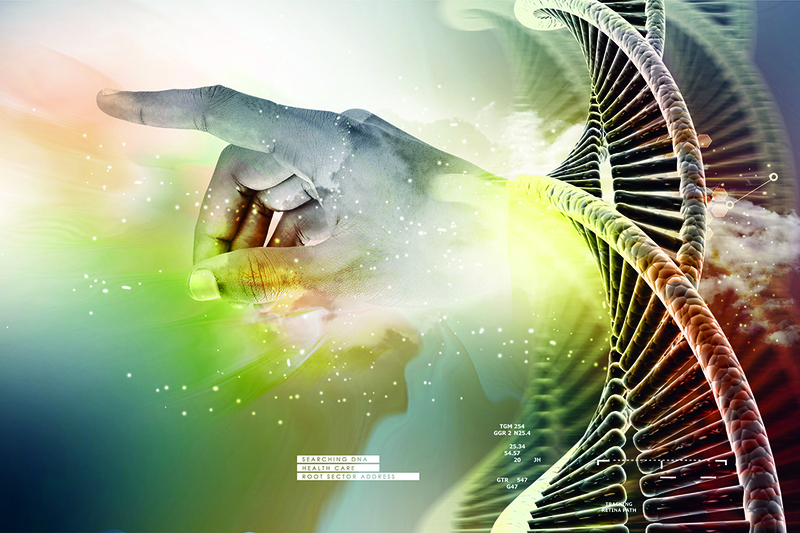 Such approaches have prevented the expression of targeted genes in humans. Orally administered siRNAs used in the project should allow for specific targeting of inflamed gut in patients with innovative nanostructured lipid carriers embedded in polymer capsules. The latter will protect these nanotherapeutics along the GI tract, whereas the former will enable them to cross mucosal, intestinal wall, plasma membrane, and other barriers of target cells. Conventional IBD therapies include 5-aminosaliycilates and corticosteroids that are not effective in many patients. Therapeutic antibodies targeting TNFα treat a significant number of IBD patients but are associated with increased infection risk. The new project’s treatment would consist of an orally administered siRNA medicine delivered directly to a patient’s inflamed gut. See Angelo DePalma’s recent BPI eBook on alternative delivery strategies for information on other such approaches: www.bioprocessintl.com/ebooks. 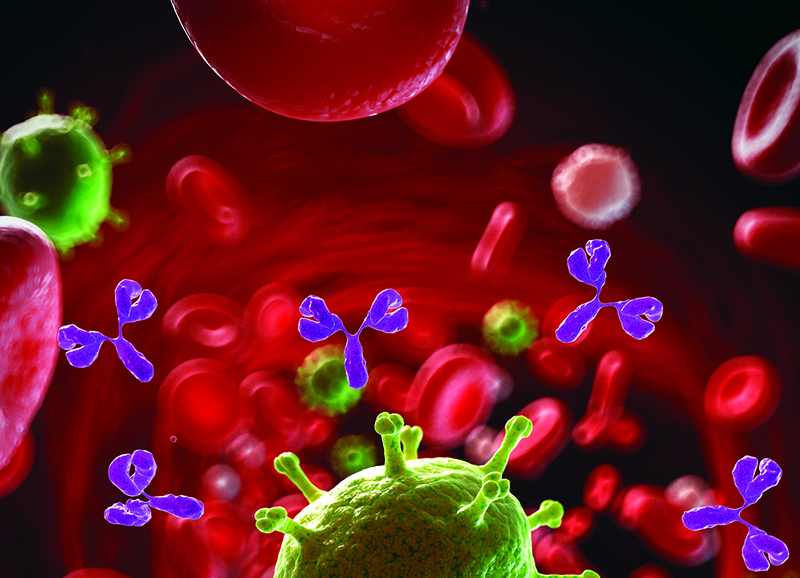 The new Merck MAb helps a patient’s immune system recognize and destroy cancer cells by targeting a specific cellular pathway, making it an immunotherapy. The two targeted biomarkers — microsatellite instability-high (MSI-H) and mismatch repair deficient (dMMR) — affect proper DNA repair inside cells. Proponents of personalized medicine look toward a future in which physicians use molecular tests to classify different forms of cancer based on the biomarkers they express. Specific treatments will target different biomarkers. Nearly one in four 2014–2016 FDA approvals were for personalized medicines, which now make up the majority of cancer drugs in development, according to Abrahams. However, US regulatory and reimbursement systems have yet to catch up to these advances. Many necessary molecular tests for patients are unavailable because of regulatory uncertainty and consequent low investment in developing them. Abrahams concluded: “Confronted with unprecedented opportunities in personalized medicine, policymakers would do well to ensure that our research, regulatory, and reimbursement systems facilitate the development of and access to these promising new therapies. Only then can we ensure that Keytruda’s groundbreaking approval represents the beginning of a new era that promises better health and a more cost-effective health system.” Find the full article online at www.statnews.com/2017/06/21/personalized-medicine-cancer-keytruda-fda. Growth hormone deficiency (GHD) is a global drug market covering the United States, France, Germany, Italy, Spain, Japan, and the United Kingdom. A recent GlobalData report says this market is set to grow from US$1.42 billion in 2016 to ~$2.08 billion by 2026, with a steady compound annual growth rate (CAGR) of 3.9%. Opportunity Analyzer: Growth Hormone Deficiency — Opportunity Analysis and Forecasts to 2026 identifies major drivers of that growth as the launch of long-acting products, improved adherence to and compliance with their use, and increased awareness of GHD among physicians. GlobalData analyst Edit Kovalcsik explains: “Patient compliance with daily growth-hormone drugs has been a longstanding issue in the GHD treatment landscape and remains the greatest unmet need in the market. This has given a major thrust to innovation in the treatment space, with pharmaceutical companies focusing heavily on developing easier delivery options. Currently, a dominant trend in the GHD market is development of long-acting drugs that can be administered weekly or biweekly.” He added that all four late-stage–pipeline drugs and two out of three in early stage development for GHD are long-acting products. Long-acting growth hormones eventually could replace daily growth hormone treatments. GlobalData predicts them to capture over half of the market by the end of the forecast period. Among them, Pfizer/OPKO’s Lagova (hGH-CTP), Versartis’ somavaratan, and Novo Nordisk’s somapacitan should be the most significant revenue earners by then. The hematological cancers pipeline — covering leukemia, lymphoma, and myeloma — is the largest oncology therapy area of pharmaceuticals. GBI Research counts 1,474 such programs in active development, 477 of those being first-in-class therapies. As identified in GBI’s recent Frontier Pharma publication, First-in-Class Innovation in Hematological Cancers: Cytokine Signaling and Kinase Targeted Immunotherapies Dominate a Large and Highly Versatile Pipeline, cytokine signaling targets make up the greatest proportion of those pipeline and first-in-class programs, followed in both instances by kinases. Those target categories are linked intrinsically as immunotherapies and dominate because of how hematological cancers act on immune cells. GBI associate analyst Callum Dew explains: “These disorders affect immune cells within the blood and bone marrow, so there is a high degree of pathophysiological crossover between the different types of malignancy within hematological cancers. It is not uncommon for products being developed for this therapy area to be tested across multiple indications.” Dew says 214 first-in-class programs are in development for a single indication, but 229 are for two or more, “highlighting the versatility of current pipeline programs.” Regarding individual molecular targets, 27.3% of those in the pipeline are first in their classes (more than the industry average). Much promise within this area revolves around targeted immunotherapies. GBI also examined the liver cancer market recently. Although it currently lacks sufficient approved treatments — two targeted therapies provide limited overall survival benefits — the pipeline is large, diverse, and highly innovative. Another Frontier Pharma report, Liver Cancer: Identifying and Commercializing First-in-Class Innovation, lists 423 products in active development, showing diversity of both molecule type and mechanism of action (MoA). Of 318 products with a disclosed molecular target, 39% are potential first-in-class therapies. Despite targeted therapies entering this otherwise chemotherapy-dominated market, the prognosis for most liver cancer patients remains extremely poor. Those ineligible for surgery survive for under a year even with treatment. Eligible patients face high recurrence even after surgical tumor resection. So the unmet need here is very high, presenting a strong opportunity for companies developing breakthrough therapies. GBI managing analyst Dominic Trewartha says, “First-in-class development can be highly lucrative if clinically successful, but is also associated with high risk.” First-in-class liver cancer products can be associated with known disease-causing pathways and mutations, but there is no guarantee that such products will live up to their clinical promise and market potential. The report describes the liver-cancer business landscape as “moderately active, with relatively high-value deals.” The mean value for disclosed codevelopment deals is $204 million, and the mean for licensing agreements is $203 million. Companies involved range from start-up biotechs to global leaders. The Convention of Pharmaceutical Ingredients (CPhI) returned to the Seoul COEX Convention and Exhibition Center in Korea in August 2017 for its fourth meeting focused on South Korea. Colocated with ICSE, P-MEC, BioPh, and Health Ingredients Korea, this reflects global interest in the Korean pharmaceutical market. The 2017 show reported a 13% increase in the number of exhibitors and more than doubling of overseas buyers since 2015. A surge in international companies interested in partnerships in Korea highlights a flourishing South Korean drug market. It has become the third largest such region in Asia, with a forecasted growth from $18.6 billion in 2016 to $20.4 billion in 2020. The country’s domestic biopharmaceutical market has surged notably over the past five years with a CAGR of 9%. One major factor for that growth stems from government incentives such as the “Incheon Free Economic Zone,” with its goal of becoming one of the world’s top economic zones. Another factor is 2006’s successful “Bio-Vision 2016” initiative to develop South Korea’s biotechnology over 10 years and solidify the country as a global biotechnology leader. A free-trade agreement with the United States has facilitated investments from multinational companies, leading to an internationalization of the regional pharmaceutical market and a drug exports boom. Finally, South Korea’s drug industry is known for innovation, having recently topped the Bloomberg Innovation Index. Five Years of Reporting and Predictions: For the past five years, UBM’s CPhI Worldwide has brought together expert panels to produce an annual industry report of analysis and forecasting. For the 2017 edition, the group also looked back at previous annual reports to evaluate the accuracy of their forecasts. Predictions included expanded use of process analytical technology (PAT), quality by design (QbD), serialization, green chemistry, and R&D improvements, as well as the rise of strategic relationships between drug sponsors and contract and development organizations (CDMOs). A predicted increase in FDA warning letters had been seen as a potential hindrance to the industry. The 2013 annual report suggested this as a result of tightening regulations and a lagging industry in complying with them. This forewarning proved entirely accurate, with FDA warning letters tripling over the past few years — from 4,882 in 2012 to 14,590 in 2016. The first report predicted a boom in R&D and improvements in drug development cycles. This proved true in 2014 and 2015, with 41 and 45 FDA approvals, respectively. But that increased productivity dropped off significantly in the following years, with just 22 approvals in 2016 and a similar number anticipated for 2017. PAT, QbD, and serialization have become industry-wide practices improving product quality and efficiency. Another identified trend was the implementation of continuous processing for active pharmaceutical ingredients (APIs) and finished products, and the use of such technologies continues to increase. Annual reports have anticipated that both drug developers and outsourcing providers would begin looking at green chemistry, route scouting, and process improvements early in development with a goal of making less wasteful products. That has begun taking shape across the industry. CDMOs were predicted to grow in prominence across the industry, with strategic pharma partnerships proliferating. In the past two years, megamergers in this space were expected to become more frequent amid the aggressive competition to become leading and full service providers. The trend is best highlighted by recent deals struck between a number of CDMOs and pharmaceutical companies, as well as the purchase of Patheon by Thermo Fisher. In addition, Big Pharma has set up codevelopment deals with a number of companies to develop and commercialize biologics and biosimilars. Some of the first annual reports missed the pulse of the industry, however, by expecting tighter regulations to decrease the number of small biotechnology companies entering the market. By contrast, the business environment has heated up significantly in the past couple years, with traditional US hot spots seeing growth while new biotechnology hubs saw rapid emergence — particularly in China. In the latest CPhI Annual Report, 12 experts provide valuable insight on the current and future state of the industry for manufacturing, R&D, regulations, biologics, PAT/QbD, and innovation, among other topics. 2016’s panelists were Gil Roth (president of PBOA, Alan Sheppard (principal at IMS Health), Vivek Sharma (CEO of Piramal Enterprises), Ajaz Hussain (founder and CEO of Insight Advice and Solutions), Minzhang Chen (CEO at STA Pharma, part of WuXi Apptec), Dilip Shah (CEO of Vision Consulting Group), Prabir Basu (pharmaceutical manufacturing and regulations consultant), Brian Carlin (director of FMC), Emil Cuirczak (president of Doramaxx Consulting), Bikash Chatterjee (president and CSO of PharmTech Associates), Girish Malhotra (president of EPCOT International), and Ravi Limaye (president of marketing at Biocon). You can access past reports online at www.cphi.com/europe/cphi-annual-report.